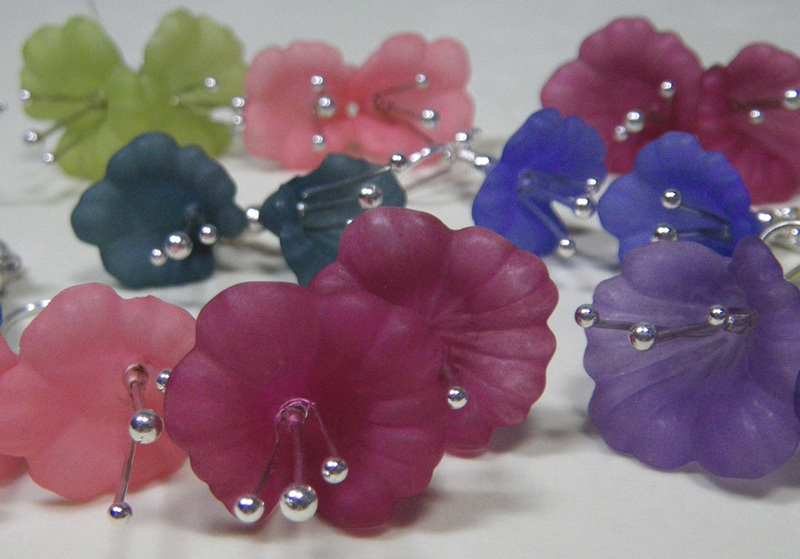 I picked up a bunch of these Lucite flower beads at the Beadin’ Path in Freeport, Maine in January. I just got around to finishing the silver wire pieces today so I could turn them into earrings. I love the Beadin’ Path. It’s one of the few bead shops I actually get to visit. It is “on my way,” whether I’m leaving or returning to Maine. If I can’t go there in person, they have a great shop online. I usually buy vintage glass, stone beads and freshwater pearls, but I cruise through the Lucite section because I like the colors, and a lot of the pieces are vintage. 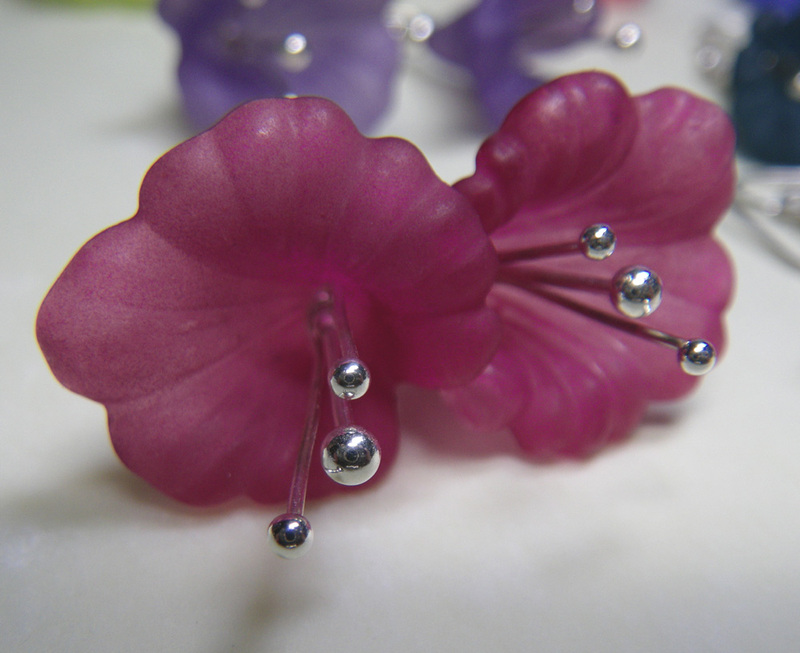 The shape of these beads were originally vintage, but these flowers and their colors are contemporary. 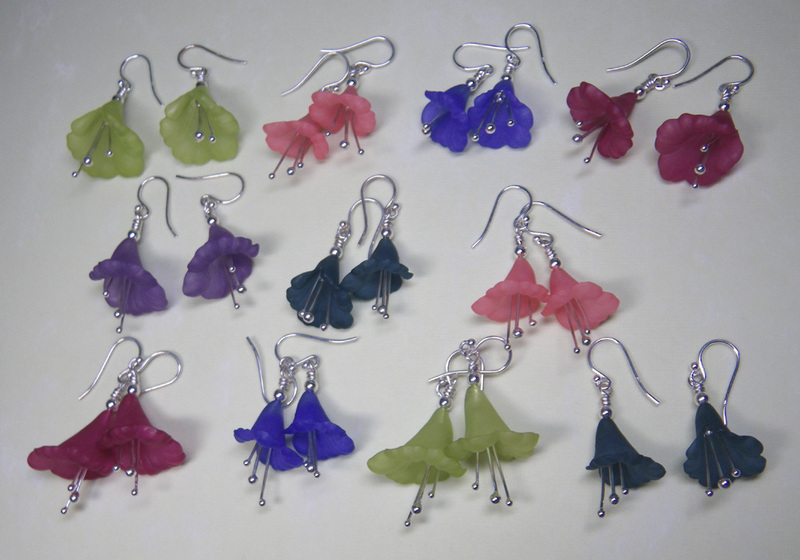 Making the earrings was a bright spot on a gray rainy day. It was a very good day to work in the studio. I love the Beadin Path! I’m so jealous you get to go in person! The spring flowers are beautiful and the wires are lovely. I sincerely hope the enameled headpins were not too rustic for your pristine work? 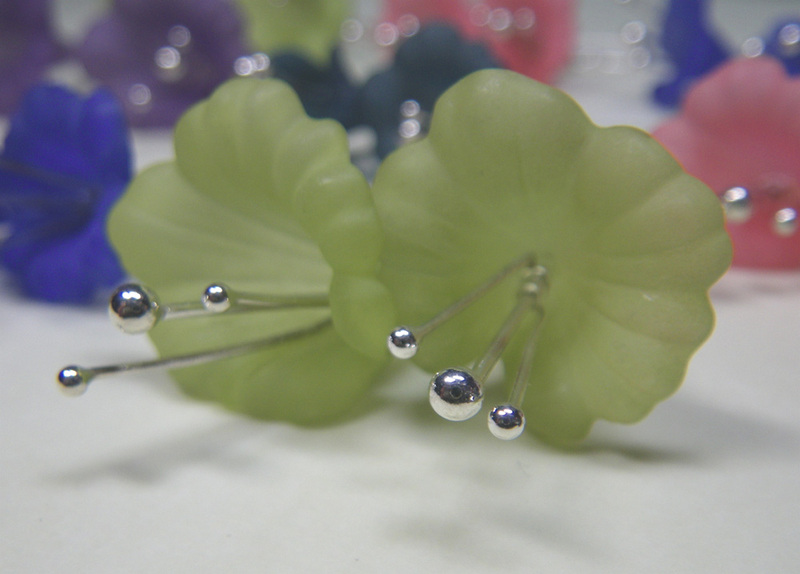 Don’t worry about the headpins. I know they’ll be perfect. I can’t wait to get them! (They didn’t come today, so I bet they’ll be in the mail tomorrow.) I’ve been thinking of all the different ways I want to use them. You’ll see…. !